The so-called Children's Crusade illustrates at once the religious enthusiasm and misdirected zeal which marked the whole crusading movement. 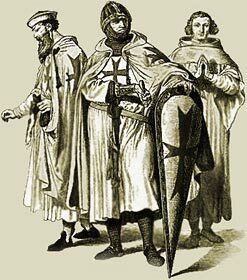 During the interval between the Fourth and the Fifth Crusade, the epidemical fanaticism that had so long agitated Europe seized upon the children, resulting in what is known as Children's Crusade. The preacher of Children's Crusade was a child about twelve years of age, a French peasant lad, named Stephen of Cloyes, who became persuaded that Jesus Christ had commanded him to lead a crusade of children to the rescue of the Holy Sepulchre. The children became wild with excitement, and flocked in vast crowds to the places appointed for rendezvous. Nothing could restrain them or thwart their purpose. "Even bolts and bars," says an old chronicler, "could not hold them." The movement excited the most diverse views. Some declared that it was inspired by the Holy Spirit, and quoted such Scriptural texts as these to justify the enthusiasm: "A child shall lead them;" "Out of the mouth of babes and sucklings thou hast ordained praise." Others, however, were quite as confident that the whole thing was the work of the Devil. The great majority of those who collected at the rallying places were boys under twelve years of age, but there were also many girls. During the year 1212 A.D. about 30,000 French children assembled in bands and marched through the towns and villages, carrying banners, candles, and crosses and singing, "Lord God, exalt Christianity. Lord God, restore to us the true cross." The French children, set out from the place of rendezvous for Marseilles. Those that sailed from that port were betrayed, and sold as slaves in Alexandria and other Mohammedan slave markets. The children could not be restrained at first, but finally hunger compelled them to return home. In Germany, during the same year, a lad named Nicholas really did succeed in launching a crusade. He led a mixed multitude of men and women, boys and girls totalling 50,000 in number,over the Alps into Italy, where they expected to take ship for Palestine. From Brundusium 2000 or 3000 of the little crusaders sailed away into oblivion. Not a word ever came back from them. Many other children perished of hardships, many were sold into slavery, and only a few ever saw their homes again. "These children," Pope Innocent III declared, "put us to shame; while we sleep they rush to recover the Holy Land." This remarkable spectacle of Children's Crusade affords the most striking exhibition possible of the ignorance, superstition, and fanaticism that characterized the period. Yet we cannot but reverence the holy enthusiasm of an age that could make such sacrifices of innocence and helplessness in obedience to what was believed to be the will of God. The children's expedition marked at once the culmination and the decline of the crusading movement. The fanatic zeal that inspired the first crusaders was already dying out. "These children," said the Pope, referring to the young crusaders, "reproach us with having fallen asleep, whilst they were flying to the assistance of the Holy Land." The Medieval Times website provides interesting facts, history and information about these great people and important historical events which scatter the Medieval History books including Children's Crusade . The Medieval Times Sitemap provides full details of all of the information and facts about the fascinating subject of the lives of the people who lived during the historical period of the Middle Ages. The content of this article on Medieval life and times provides free educational details, facts and information for reference and research for schools, colleges and homework for history courses and history coursework.